First Look: LEGO Star Wars Betrayal Cloud City set – AiPT! Feast your eyes on this impressive Star Wars Cloud City LEGO set. LEGO has revealed this morning a brand new 2,812 piece set is coming and it is based on a major location in Star Wars: The Empire Strikes Back. 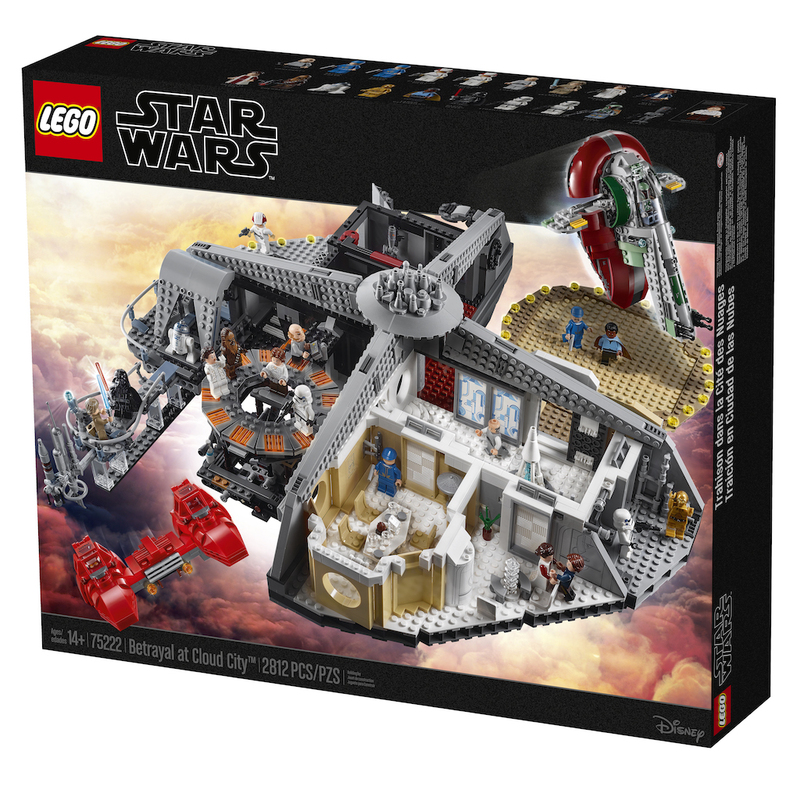 The set revolves around the betrayal Lando committed in Cloud City. The set is aptly named “Betrayal at Cloud City” and it comes with a whopping 18 minifigures. These are not no named characters either with Boba Fett, Darth Vader, Luke, Leia, Han Solo, Chewie, C-3PO, R2-D2, and Lando all getting minifigures. There’s also guards and other familiar faces as well and even two versions of Luke Skywalker (one of which has a black eye from Darth Vader beating him up!). and even the landing dock where they threw Han into Slave I. The set will run $349.99 and will be released October 1st. Regardless of how you feel about Solo: A Star Wars Story you have to admit the sets LEGO has put out for it are impressive. Just feast your eyes on the Imperial AT-Hauler, the Cloud-Rider Swoop set, and the Imperial Conveyex Transport! Check out all the pictures and full details below. Visit Bespin’s amazing metropolis in the sky–Cloud City! • Cloud City measures over 6″ (16cm) high, 22″ (58cm) wide and 22″ (56cm) deep. • Slave I measures over 4″ (11cm) high, 7″ (19cm) long and 7″ (18cm) wide. Available directly from LEGO Stores & shop.LEGO.com from 1 October, 2018. VIP Availability 13th September, 2018.